Short pile mohair blend fabric, shed resistant for a flawless smooth professional paint finish. 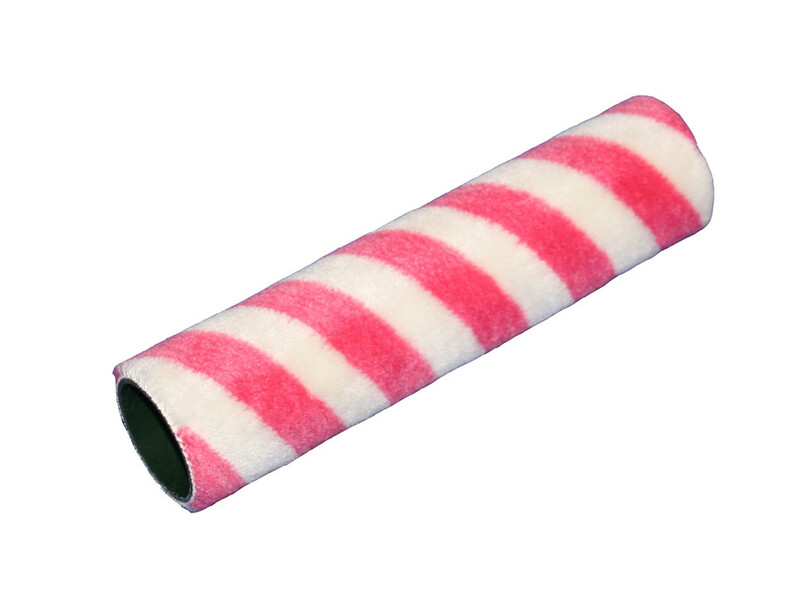 Thermal bonded construction with high density mohair fabric with a red stripe, stays resilient, resists matting. 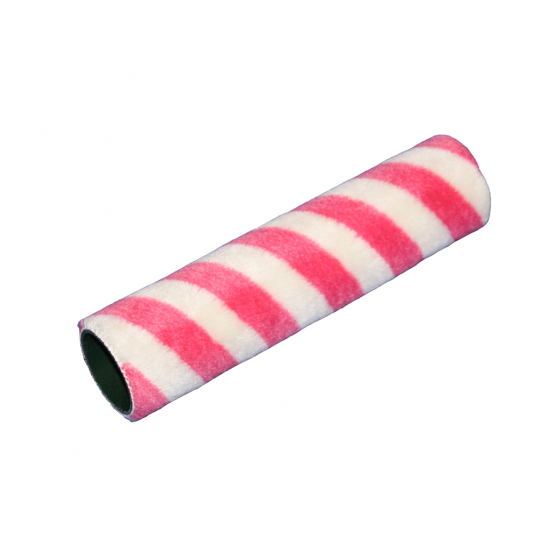 The Candy Stripe paint roller is ideal for painting with all gloss paints, varnishes, enamels, primers and epoxy adhesives. Compatible with all 9 Inch paint roller frames sold on this site. Dimensions; 1.75 Inch diameter core, very short pile with 0.25 Inch pile height or 5mm Nap.